The Freatured Organ for the month of May is the 3/33 Mighty WurliTzer Theatre Pipe Organ that was installed at the Roaring 20's Pizza restaurant in Grand Rapids, Michigan prior to being moved to the Meijer Theater, Public Museum of Grand Rapids, Michigan. The Meijer Threater, Public Museum of Grand Rapids, Michigan. 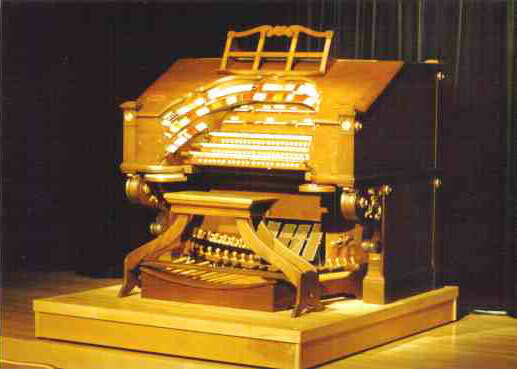 A couple of years ago, the Roaring 20's Pizza restaurant building was sold, and the organ ended up in The Public Museum of Grand Rapids, Michigan. 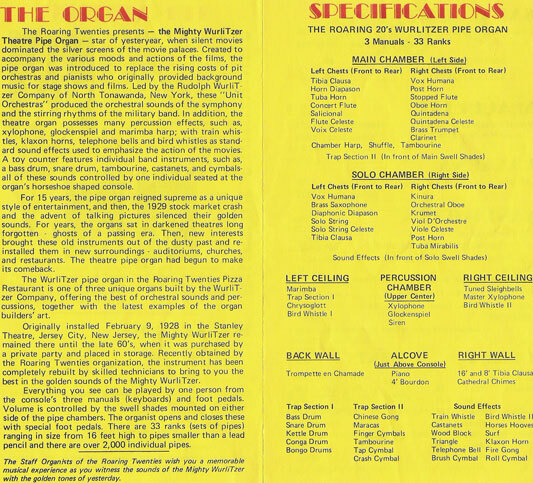 So, at least the organ is still in the same city, and still playing! 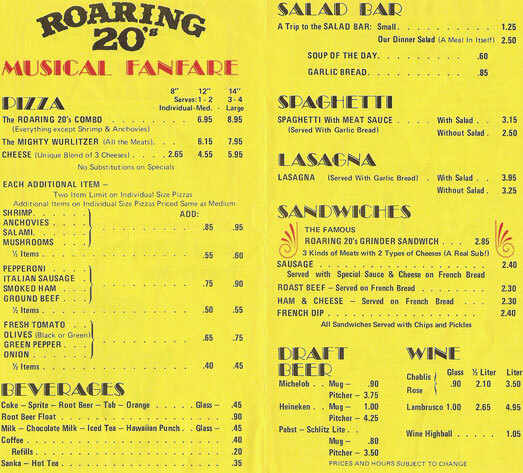 So... Look below at an actual menu from Roaring 20's Pizza, and take a walk with us down theatre organ memory lane, when real TPO's were common in such places. These pictures are courtisy of Sue Loomis, Walnut Hill Virtual Theatre Pipe Organ group member. 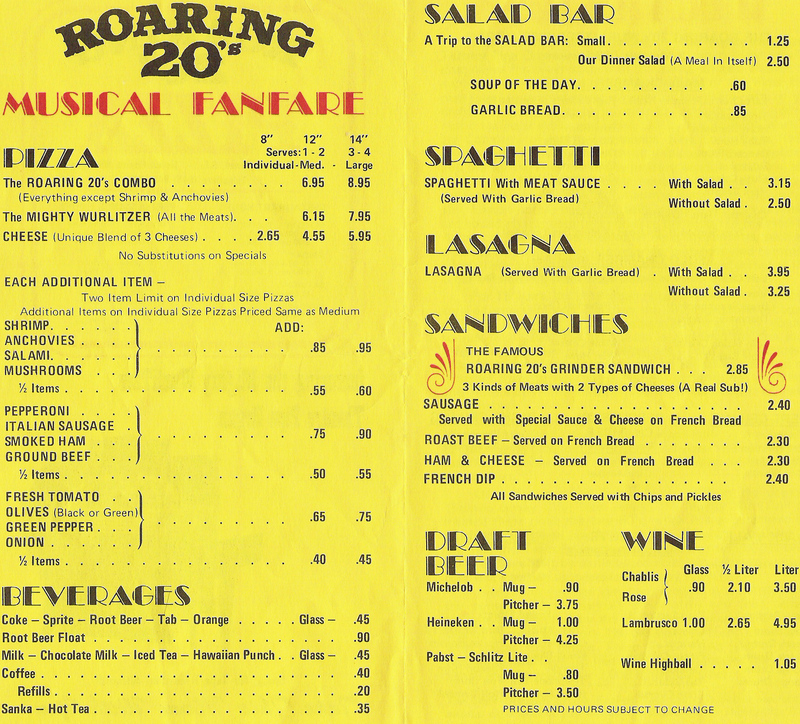 This is the first of three pages scanned from the Roaring 20's Pizza Menu. Picture is courtisy of Sue Loomis, Walnut Hill Virtual Theatre Pipe Organ group member. 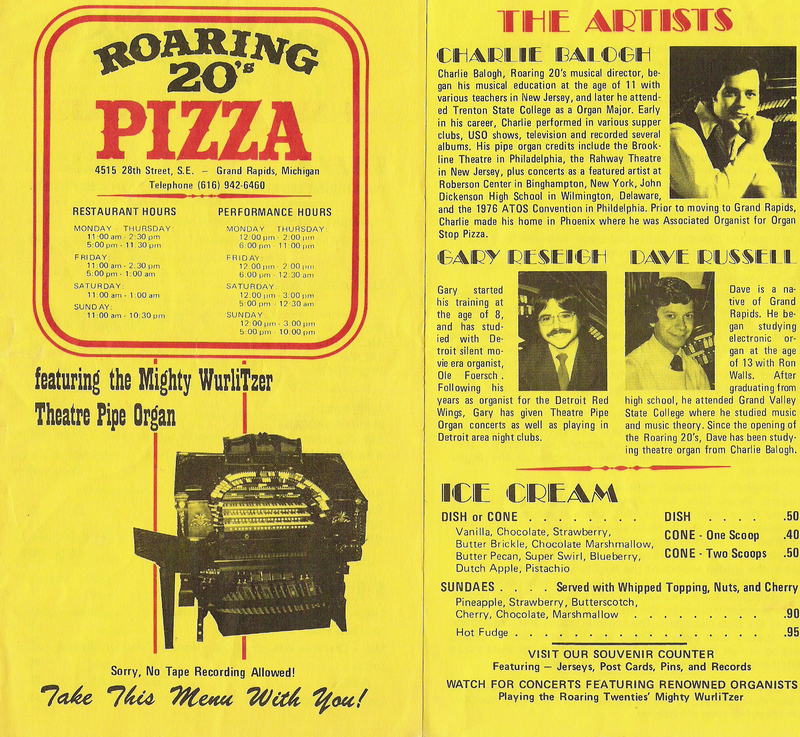 This is the second of three pages scanned from the Roaring 20's Pizza Menu. Picture is courtisy of Sue Loomis, Walnut Hill Virtual Theatre Pipe Organ group member. This is the third of three pages scanned from the Roaring 20's Pizza Menu. Picture is courtisy of Sue Loomis, Walnut Hill Virtual Theatre Pipe Organ group member.